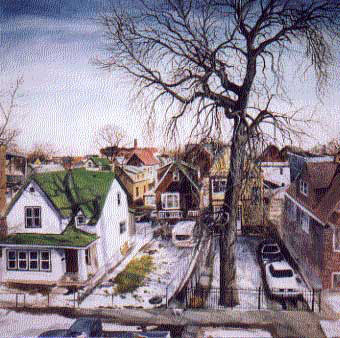 Born and raised in Ithaca, New York, I started drawing and painting at a very young age. 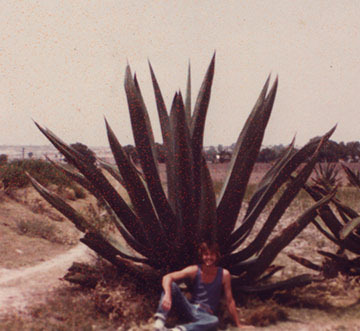 I was eager to explore the big wide world, so when I graduated from high school, I left Ithaca to travel around the United States, Europe and Mexico. 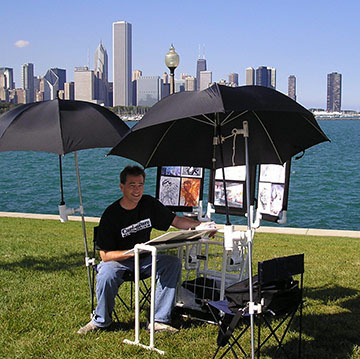 Eventually, I settled down in Chicago, where I studied art at the University of Illinois and received a Bachelor of Fine Arts from the American Academy of Art. I started drawing caricatures in the parks and on the street corners of Chicago. 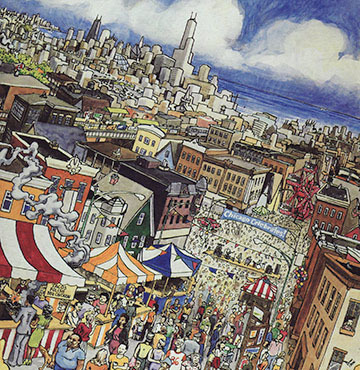 During the summer, the windy city is covered with festivals, street fairs and block parties. 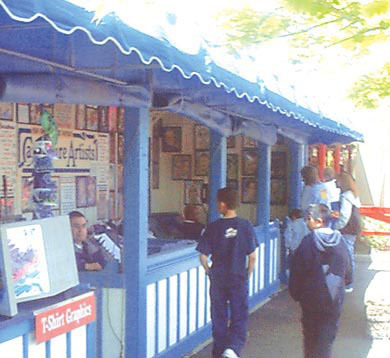 In 1997, I joined the crew at Six Flags amusement park in Gurnee, Illinos, where I spent many long hours airbrushing caricatures. 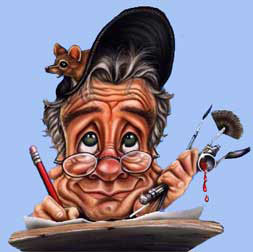 My mentor at Six Flags was Gary Fasen, a pioneer in the field of caricature, who trained many great artists. He was a strong influence on me and I am very grateful for the opportunity to have worked with him. 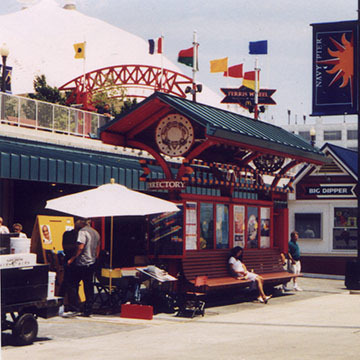 When Navy Pier opened, I went to work for a caricature stand down by the waterfront. Mmmm... I can still smell the hotdogs! Since 2010, I have been building an ever-expanding list of happy clients here in South Florida. I love the weather, the beaches, the lifestyle and most of all the people I get to meet. Have questions? Want to know what I can do to make your event even more special? Drop me a line or give me a call.